The ad in question created by the nonprofit Building Healthy Communities. An ad that a local non-profit group wants to run on city buses is the center of controversy, after Fresno officials say it’s too political. As FM89’s Ezra David Romero reports the group wants more parkland in older parts of town. 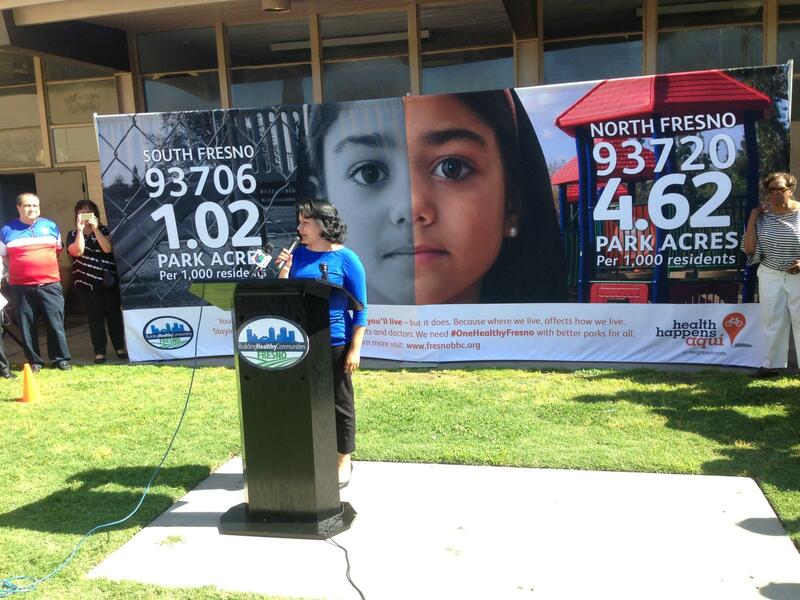 The banner in dispute points out the disparities in the amount of parkland across the city. According to the nonprofit Fresno Building Healthy Communities, north Fresno residents enjoy 3.6 acres of extra parkland for every 1,000 people, compared to those who live in south Fresno. But the banners won’t be on FAX buses any time soon. Sandra Celedon-Castro is with the group. More than 100 people gathered to protest the city's decision. John Capitman with the Central Valley Health Policy Institute says the banner is a correct depiction of the North-South divide in Fresno. CAPITMAN: “There’s almost a 10 year difference in how long people are expected to live in southeast Fresno versus North Fresno. Differences in diabetes obesity. When they say we need more parks they are picking up on what’s really true. The city says it encourages the group to use other forms of advertising that don’t have restrictions, but the group says that blocking the banner is censorship. Last week the Trust For Public Land ranked Fresno tied for last nationwide for the lowest park to city acreage in the country. How Many Bus Wrap Ads Have Been Rejected In Fresno? The Fresno advocacy group Building Health Communities is planning to formally request a list of all the ads that have been rejected by the city or advertising company Lamar. Lamar is the first stop when deciding if an ad violates a city ordinance that forbids certain ads on bus wraps. After the City of Fresno rejected a proposed bus ad about the lack of parks in South Fresno last week, the controversy over the issue has only grown. 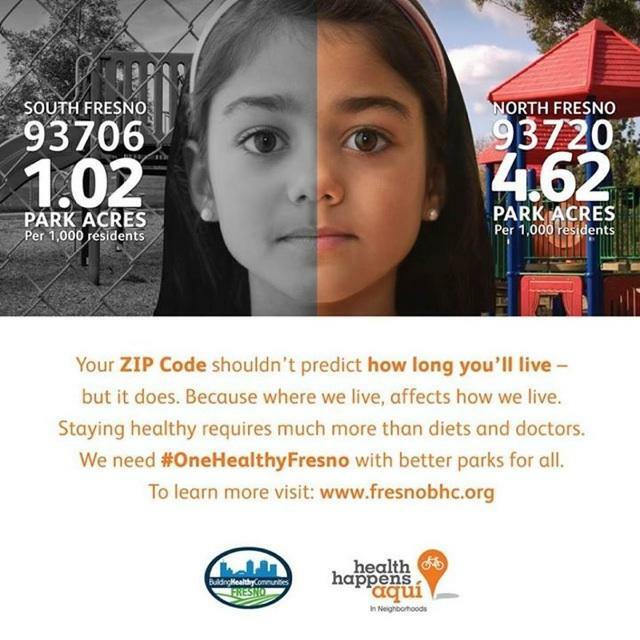 The ad from the group Building Healthy Communities cited city data that shows North Fresno residents have over four times the amount of park space per capita as those who live south of Shaw Avenue.